Come to work with us, Content Designer! We are looking for a new talent to join our Visit Rovaniemi team. If you have excellent writing skills and you can create content quickly and resourcefully, apply now! Rovaniemi, the Official Hometown of Santa Claus®, lies on the Arctic Circle and below the northern lights. Visit Rovaniemi is the local tourist board and the Brand Manager of Rovaniemi. 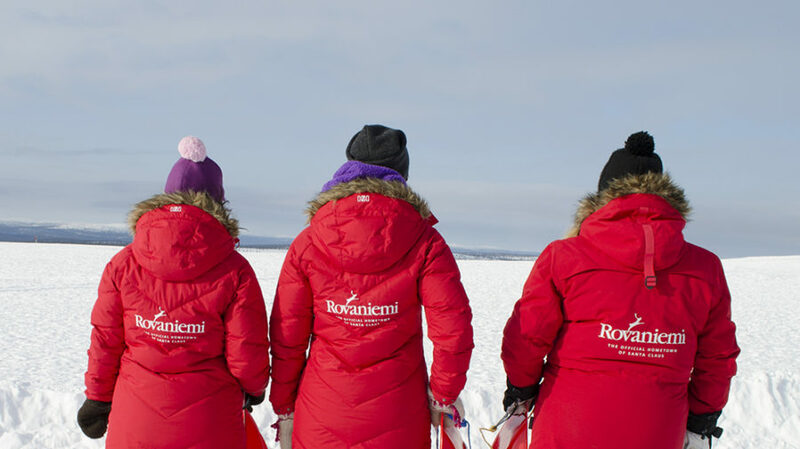 Visit Rovaniemi is responsible for the image marketing and tourist information of Rovaniemi, as well as the overall promotion of Rovaniemi as a travel and meeting destination. Visit Rovaniemi (Rovaniemi Tourism and Marketing Ltd.) is an agile company owned by the City of Rovaniemi and 191 local businesses. Your job is to provide content for image and product marketing through different channels. Almost all content will be written in English and for international audiences. You are also responsible for maintaining the Visitrovaniemi.fi- site (WordPress) content and coordinating the development of the site. Your responsibilities also include internal communications within Visit Rovaniemi’s network. 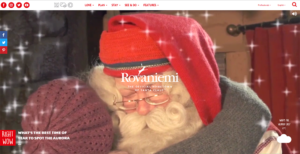 You are a spying elf: who follows how Rovaniemi shows up in different medias and analyzes this information for our marketing and communication needs. -You are a native or close to native English speaker with excellent writing skills. All other language skills and especially an Asian language are considered as an advantage. -You create content quickly and resourcefully for Facebook, Instagram, Twitter and Youtube. You also have ideas for new Social media channels and won’t hesitate to take responsibility for these channels too. -You are a visual person and taking pictures and short videos for Social Media during your work day or on your way to work is natural to you. -You manage to write quality English newsletters and articles, even with tight schedules. -You have good digital and IT-skills. A viewpoint inside the international tourism industry together with Santa Claus, one of the worlds most valued brands. We will also provide you with the possibility to work as hard as an Elf at Christmas time. In Rovaniemi, Christmas time is all year around. The official hometown of Santa Claus never sleeps. Rovaniemi also provides a beautiful setting to live in: a vivid city together with beautiful nature for outdoors and sport activities. We are a group of 7 straightforward and open professionals who work in a high paced, hectic and rewarding tourism industry with humor, a smile and a strong belief in Santa Claus. You will have your own responsibilities in our tight work group, but help is close-by if needed, we work in an open-plan office. The job is full time and for an indefinite term. 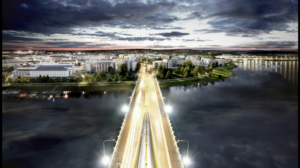 If you are interested, please write us an inspiring and website friendly article about Rovaniemi (max. 250 words) and send it together with your application, CV and possible portfolio/work demonstration* through this link by 5.11.2017 at the latest. All applications will be treated confidentially. We will only consider applications submitted via the Opteam system. Apply soon, because we will fill the position right after finding the suitable candidate. *The portfolio or work demonstration may include any related content created by you, for example: articles, news, or examples of a social media presence or other related material. If you cannot attach all the necessary files, please add these as a link to the application form. Please leave your call request via text message.